1. Grill peach halves flat side down until they start to caramelize and grill marks are visible. 2. Flip over and grill round side of peach. 3. Remove from heat and place in fridge or freezer to cool. 4. 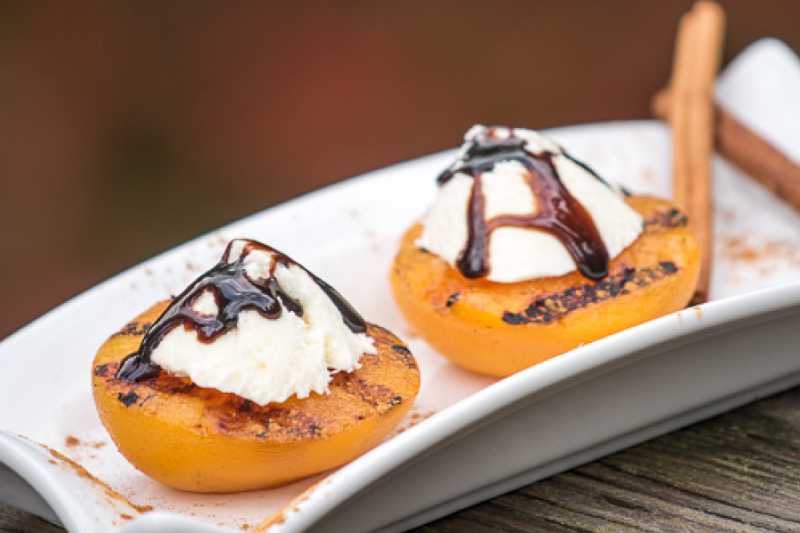 Place peaches on plate, sprinkle with ground cinnamon and garnish with cinnamon sticks. 5. Fill the center of each peach with ice cream. 6. Drizzle with Nonna Pia’s Classic Reduction.